Course; Dessert and Tea /Coffee). Cost per member €10.00. (1) Report from Management Committee of RMA. 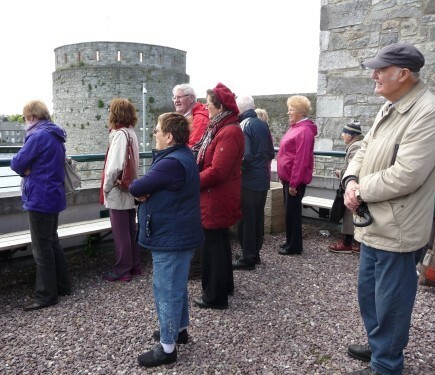 The Clare, Limerick & Tipperary Branch of the RMA held a very successful Medieval Tour of Limerick on May 23rd 2013. The event was organised by Mr Donal O’Connor, the Social and Cultural Branch Officer. Donal also had the ear of the gods as he was able to arrange a beautiful sunny afternoon for the event. 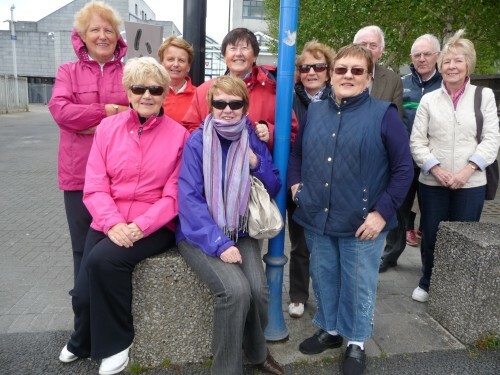 The walk was conducted by Dr. Charlotte Murphy, a loyal member of the RMA and former teacher in St. Patrick’s Comprehensive School, Shannon. Dr. Charlotte gave an exciting, passionate and informative lecture on the many historical sites on the walk. The Branch looks forward to organising more such events in the future.